Pedestrians on sidewalks and parking lots are frequently struck by vehicles driven by negligent drivers says Philadelphia pedestrian accident lawyer Rand Spear. When vehicles strike pedestrians it just doesn’t happen when people are trying to cross the road. They can happen any time vehicles and pedestrians meet, including on sidewalks or in parking lots and garages. Philadelphia pedestrian accident lawyer Rand Spear warns pedestrians to be on the lookout for vehicles no matter where they’re walking. Pedestrians are often the victims of accidents because drivers don’t notice them or they are in the wrong place at the wrong time and are struck by out of control vehicles. An 83-year-old Vineland, New Jersey, resident planning on attending the Philadelphia Flower Show in March was killed when she was struck by a chartered bus in a parking lot, reports the Vineland Daily Journal. She was pinned under the front wheel near the entrance door and died at the scene. A Northeast Philadelphia resident was run over by a police cruiser in a Kensington park in April and died a week later because of her injuries, reports the Philadelphia Inquirer. Two officers were in a cruiser on a pedestrian path in McPherson Square when the driver reversed the vehicle and struck the forty year old mother of two. She suffered a broken pelvis, broken ribs and was on life support after the accident. A man struck by an SUV after leaving a restaurant in Bear, Delaware, was killed in a hit and run accident, according to WPVI. Police report the victim was walking in a parking lot when he was hit by a Cadillac Escalade. The driver didn’t stop and also struck a parked vehicle and the Alpha Worship Center building before leaving the scene. Though vehicles should be travelling at slower speeds in parking lots, that doesn’t mean they are safe places for pedestrians. The National Safety Council reported in November that up to two-thirds of drivers in parking lots may be too distracted to safely operate their vehicles. An estimated one in five accidents occur in parking lots, reports CBS News. The National Safety Council estimates that at least 60,000 people suffer injuries and 500 or more people are killed in the roughly 50,000 accidents in parking lots and garages every year. A survey found 66% of respondents stated they felt comfortable making calls while driving in a parking lot and more than half admitted to texting while driving. An AAA Mid-Atlantic study found that 30% of pedestrian accidents in Montgomery County in Maryland from January to the end of July in 2013 happened in parking lots, up from 22% in 2008, reports WJLA. An estimated 20% of all vehicle accidents nationwide happen in parking lots of shopping malls, shopping centers, supermarkets and big box stores. The county saw a 34% percent spike in vehicle-pedestrian accidents in parking lots and parking garages in 2012 compared to 2011. If you or a loved one were involved in a pedestrian accident caused by a negligent vehicle driver don’t wait to speak to a personal injury lawyer about the case. 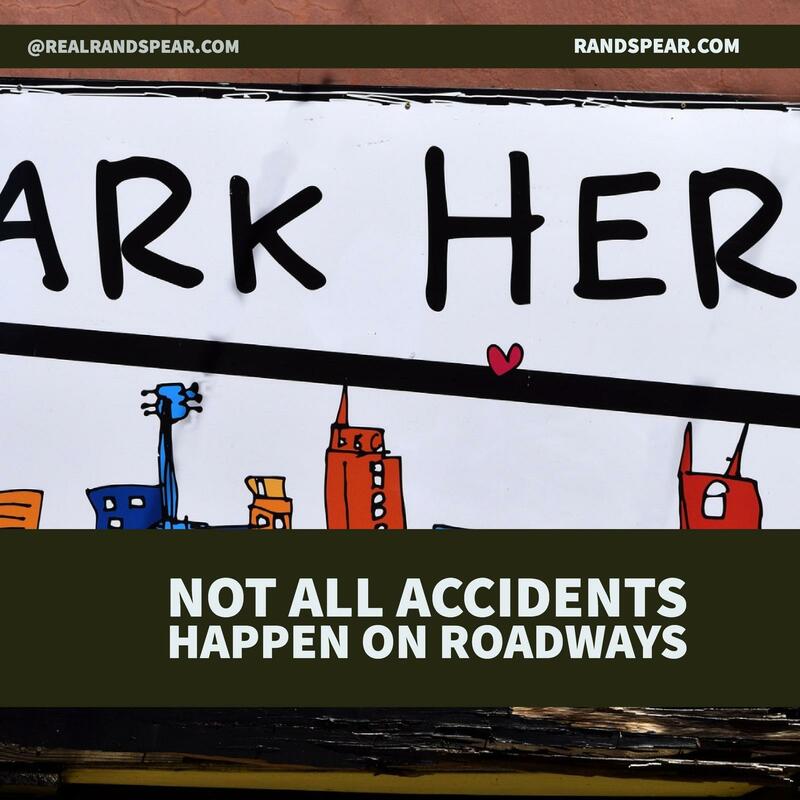 Protect his or her rights by visiting us on the web or by calling New Jersey and Philadelphia pedestrian accident lawyer Rand Spear now at 877-GET-RAND.